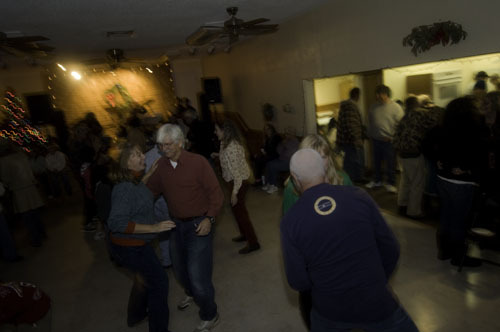 I don’t know of any place where there is a celebration quite like Old Christmas in Rodanthe. The exact origin seems to be a little sketchy, but one thing is for sure, it’s been a long-standing tradition, passed down from one generation to the next, for over a hundred years and probably much more. 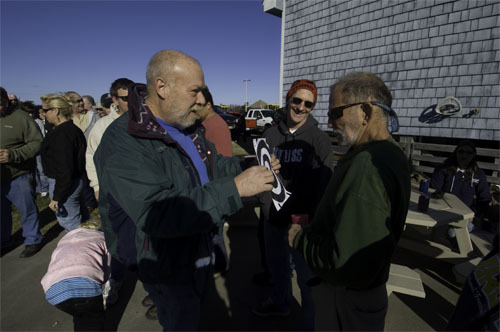 Before the booming tourist industry, Rodanthe was an isolated village, and the locals were slow to change. It is thought that the celebration of Old Christmas was carried over when England switched from the Julian to the the Gregorian calendar in the 1700’s. That took the celebration of Christmas Day from January 5th to December 25th. 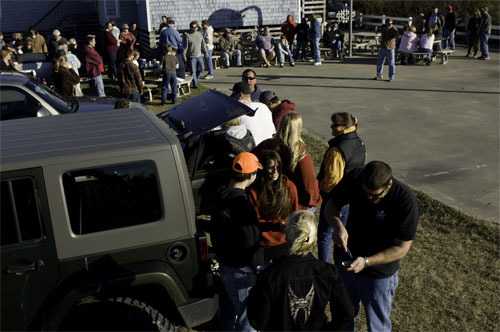 Years ago the celebration in Rodanthe involved residents going from one end of town to the other, making music, merriment, visiting neighbors and dressed in costume. Today it’s evolved and is celebrated on the first, but sometimes second, Saturday in January. 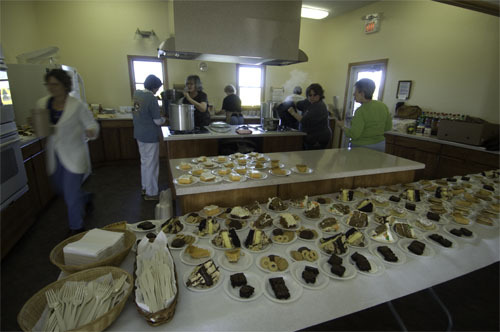 It takes place at the old schoolhouse that was converted into a community building. 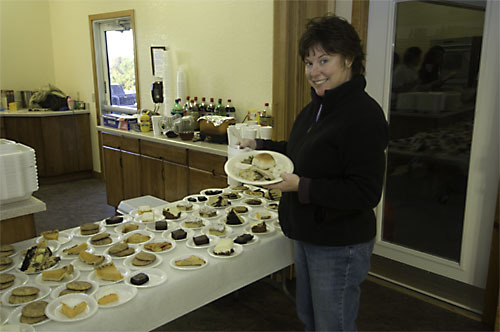 It is not a religious celebration, but a time to be with others. There’s nothing quite like oysters to bring coastal folks together, so festivities start in the afternoon with an oyster shoot. 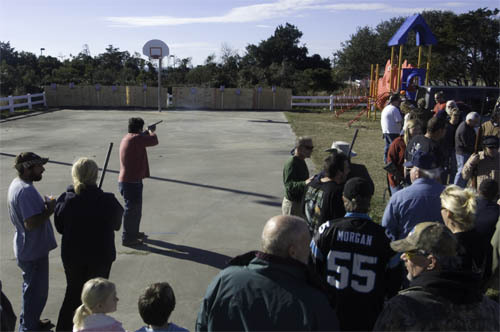 Participants fire a shotgun at a target. 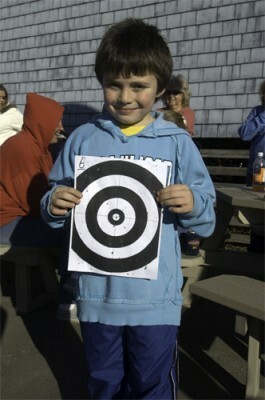 Whoever gets a shot closest to the bulls-eye, wins a bag of oysters. 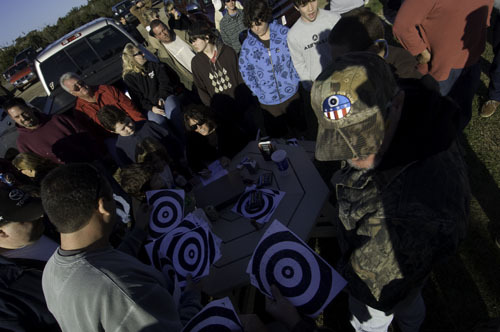 This goes on for hours and everyone, young and old alike, has a great time. 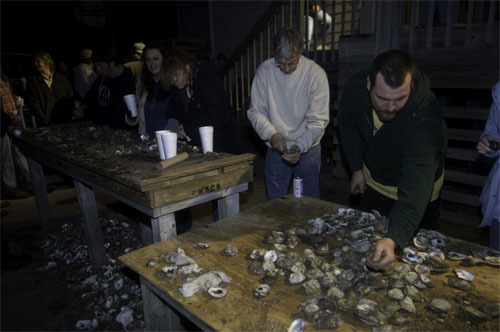 There’s oyster shucking, reminiscing, and a little drinking, not necessarily in that order. 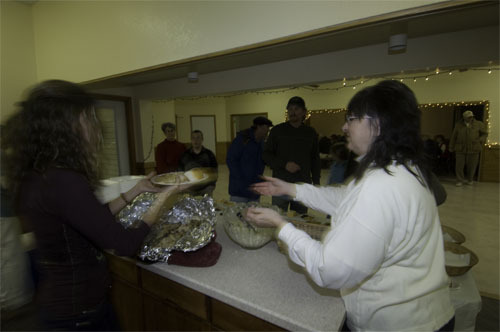 In the meantime, some of the best cooks in town are preparing a homemade supper in the kitchen. Stewed chicken with pie-bread is the traditional favorite. 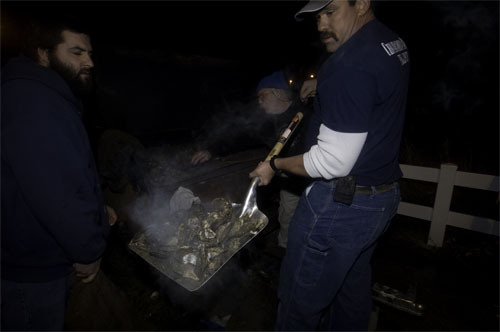 About the time the oyster shoot ends, supper is ready, a band arrives and the merriment continues on into the evening. 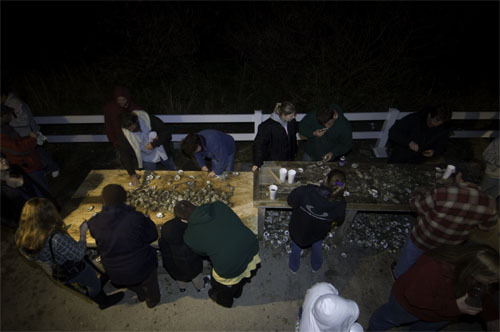 Bushels of oysters are roasted over a fire and shoveled onto wooden tables, where folks can indulge to their heart’s content. All the while, the band is playing and people are dancing and carrying on. The high point of the celebration comes around nine o’clock with the arrival of Old Buck. 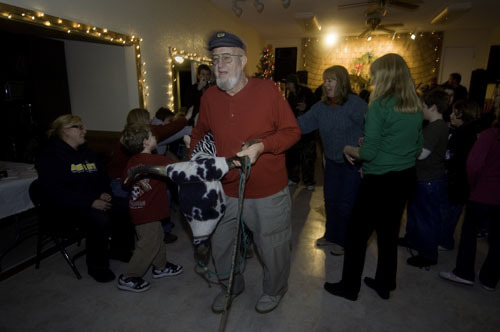 Legend has it that Old Buck, a wild steer, lives in Trent Woods (Frisco) and visits Rodanthe every Old Christmas. John Edgar Herbert is Old Buck’s current caretaker, a job passed down to him from his father. John Edgar and Old Buck enter the hall and meander around the dance floor, bumping into things and people in the way. Children are excited. Adults are jubilant. Old Buck gets petted and sometimes spanked. It’s a beautiful thing. 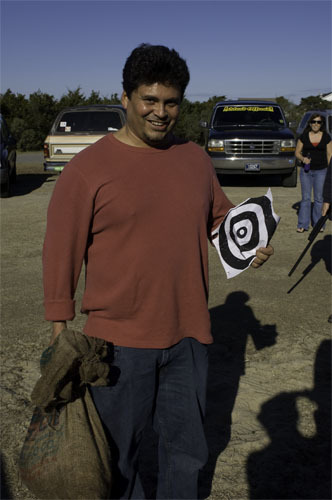 As quickly as he came, Old Buck is gone….. for another year. This entry was posted in People on January 14, 2009 by j0jgvm89bj.